Secrets Jamaica.. A FUN Day in Paradise! Yesterday was a FUN DAY 4SURE! Started out a bit cloudy but that didn’t stop the Leopardo boys and I from gettng out and about! We started with Coffee delivered to the room by Room Service and Jevon! Love that Jamaican Coffee and Jevon ROCKED with SERVICE! Then we headed down and out to the Beach where we set up our chair for the day! After that it was off to the Wild Orchid Side to prowl about and see what we could find! World Cafe was bustling with happy folks having breakfast and everyone looked happy and well fed! Then we stopped by Coco Cafe to get a Machiato which was oh so good! LOVE the way the Coco Cafe is set up by the shops…and LOVE the way the shops are in a “square”…nice layout! Stopped by the Casino for a bit…just to have a look around it was very early…so not too much action…they are open 24 hours! Wanted to mention too if you are coming down for a Birthday, Anniversary or any special occassion you can arrange with guest services / concierge to purchase all kinds of extra goodies like a cake, or balloons, or flowers or such to add to the SWEET SECRETS Experience! They are so worth it…as is the SPA! Speaking of the Spa I am headed there today! Some SPA-sational Time with my Gal Pals! Can’t wait to see how the spa has changed since last >ear! And over on Twitter by using the hash tag : #Face2FaceSECRETS! Here is a slide show from yesterdays out and about! Hope you enjoy! NOW its time to get out and about to prowl around and “Reveal SWEET SECRETS”! Sweet Secrets in Jamaica are REVEALED! Arrived to Secrets in Jamaica yesterday! LOVE LOVE LOVE IT HERE! So much has changed and grown since my visit last April when it had first opened… I feel like a proud mother who has watched her “baby grow”! Here above is a little taste of some SWEET SECRETS LOVE! The Leopardo Boys and I will be out and about finding more SWEET SECRETS to REVEAL! Face 2 Face Jammin In Jamaica with FaceBook Friends and SECRETS FAMILY! Can’t wait to be back Jammin in Jamaica at Face 2 Face with all the FaceBook Friends and SWEET SECRETS FAMILY! We’re excited to announce that Secrets Wild Orchid and Secrets St. James will be holding an event for all our Facebook fans visiting our resorts between June 1 and June 5, 2011. The event, called Face 2 Face, is meant to bring fans of our Facebook pages face to face with one another in celebration of their involvement on our page. We have a number of fun activities planned throughout the event and we’re constantly adding to them! If you would like to attend be sure to book your reservations through Secrets or your local travel agent. Mention Face 2 Face at booking to ensure that you’re included in our fun activities! We can’t wait to have you and don’t forget to spread the word! Saturday, June 4: Reggae Night. Facebook fans are encouraged to come dressed in Jamaica’s national colors: black green & gold! Sunday, June 5: Special Meet and Greet for all Facebook guests who have brought gifts to support the Secrets Community Enhancement Program. Face 2 Face In Jamaica Check it out! The SECRETS OUT!!! The Fantastic Face 2 Face Event starts on June 1st at Secrets Wild Orchid and Secrets St. James! We’re excited to announce that Secrets Wild Orchid and Secrets St.
dressed in Jamaica’s national colors: black green & gold! Well here is both a SWEET DREAM and Two SWEET SECRETS about DIAMONDS!!! This info is from a newletter I recieve from AMResorts and happy to share with all of you! 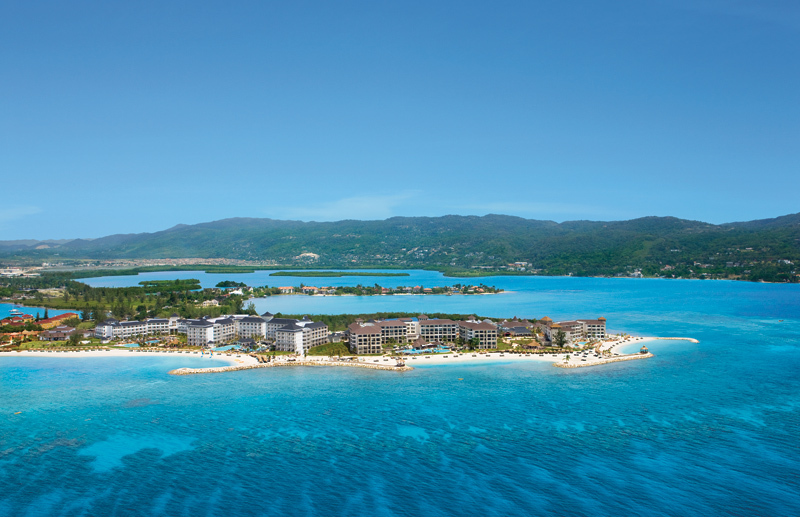 Congratulations to Secrets St. James Montego Bay, Secrets Wild Orchid Montego Bay, and Dreams Los Cabos for recently earning a Four Diamond rating with AAA! The AAA Diamond Rating Process is North America’s premier hotel rating program, which rates hotels based on the opinions of professional evaluators, member feedback, and clear quality standards. The Diamond ratings indicate the extensiveness of services, amenities, and décor provided. In order to be eligible for the prestigious classification of Four Diamonds, these establishments must be deemed “upscale” in all areas. Their accommodations are refined and stylish, and the physical attributes reflect an obvious enhanced level of quality throughout. The fundamental hallmarks include an extensive array of amenities combined with a high degree of hospitality, service, and attention to detail. Kudos and Congrats to the AMazing TEAMS of AMResorts Secrets St. James and Wild Orchid and Dreams Los Cabos! Diamonds ARE a Girls BEST Friend and something special to look for when planning that AMazing Adventure of yours! Hey B’more! Sweet DREAMS @The Preakness! on the ladies in attendance. Sweet SECRETS abound in Jamaica! Last year I had the pleasure to go to visit BOTH Secrets Wild Orchid and Secrets St. James in Jamaica! I came back from the trip renewed and rejuvenated beyond my wildest expectations! Showing some of the pics and the things that captured my heart and lifted my spirit! The resort was BRAND NEW last year and still was so beautiful! I am headed back again this year at the end of May for a week and can’t wait to see the changes! The growth in plants and trees… To see some amazing Sunsets! To revisit with some of the nicest staff around! My heart is very happy at going back to Share SWEET JAMAICAN SECRETS! Also this year there will be a great event called “Face 2 Face” that the resort is sponsoring where many of the “FaceBook” Fans of each of the resorts will be able to “Meet and GREET”…it should be FUN! This is the 2nd event like this that the resort has sponsored and I am very excited to be able to be there and take part in it! While there I will be blogging, tweeting and posting LIVE FROM sharing the event with all of you! Jammin In Jamaica! Face 2 Face! The BESTEST BASH EVER!! !